Over the years Chichester Developments has evolved and changed, but this ethos is still at the heart of the business today and has resulted in an enviable reputation in the area The company has a strong team of key employees whose task it is to deliver carefully designed, quality homes to suit modern lifestyles. The team take pride in its developments and have maintained an excellent reputation and record with NHBC and LABC. 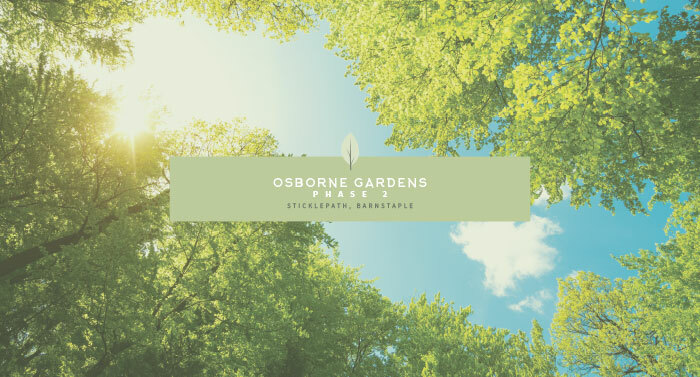 The properties at Osborne Gardens are quietly tucked away on the edge of the popular residential area of Sticklepath, but within walking distance of its many amenities.